Typically when reviewing a client’s asset situation in preparation for a bankruptcy filing I feel confident that retirement funds — those in a qualified pension, 401(k), 403(b), TSP or other ERISA qualified plans are safe from the grasp of a Chapter 7 trustee and do not need to be considered in the liquidation analysis for a Chapter 13 plan. The same has always been true for Individual Retirement Accounts because they are retirement accounts comparable to those ERISA qualified plans. However, a recent case — decided last week by the United States Supreme Court in a unanimous decision — changed some of that. Now, at least in bankruptcy, some Individual Retirement Accounts are not considered to be “Retirement” funds at all, and are thus not protected in bankruptcy. The specific IRA that is excluded from exemption (which I agree, sounds a bit like a line in a riddle) are those that are inherited from someone other than your spouse. Thus the Supreme Court changed the rules with one fell swoop in its decision in Clark v. Rameker, leaving funds held in an IRA that was inherited completely available to the Bankruptcy Estate and ultimately creditors in Bankruptcy. The case itself involved a debtor in Chapter 7, with an inherited IRA worth approximately $300,000.00. The Chapter 7 Trustee objected to her claim of exemption in the inherited IRA, claiming that the funds were not exempt as they were not the debtor’s retirement funds, and thus should be liquidated in order to pay creditors. The Court reasoned that in an inherited IRA differs from an IRA that is set up for the retirement benefits of the person making the investments in a number of ways, such as: Inheritors cannot make additional contributions to the inherited IRA, inheritors can take money out of the IRA at any time and at any age without penalty, and inheritors are even required to make certain withdrawals from the IRA regardless of the age of the inheritor. The Court held that this reasoning was consistent with the purpose of the bankruptcy code exemptions which balances the interests of creditors in recovering debts and the interest of the debtor in protecting assets necessary for their fundamental needs. As the inherited IRA does not contain anyone’s retirement funds, the money is not specifically set for retirement as is contemplated by the exemption. 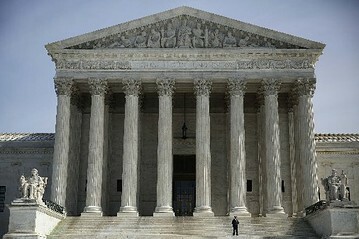 For more on the case, check out the coverage on SCOTUSblog. The Court did not specifically address the issue of whether an IRA rolled over to a surviving spouse might be afforded the protections of the bankruptcy exemption for “retirement funds”. However, using the Court’s analysis, it seems likely that the protections would still exist, as a surviving spouse in a rolled over IRA can make additional contributions to the IRA, defer withdrawals from the IRA as if the surviving spouse were the original owner, and may only withdraw principal from the rolled over IRA without penalty after attaining the age of 59 ½ years of age. Further, the purpose of a retirement account is often for the retirement of the owner and her spouse. The saving of marital income might be presumed to be for the fundamental needs of both spouses in retirement. I should also note that the decision impacts only an election of an exemptions as written in the bankruptcy code and does not directly impact an exemption under State Law. In Massachusetts, the option exists to use either the “federal exemptions” — i.e., those found in the Bankruptcy Code itself — or the “state exemptions” — i.e., those found outside the bankruptcy code, an typically in the Massachusetts General Laws. If you are considering options regarding your debts, it is imperative that you speak to a qualified bankruptcy attorney who understands how a bankruptcy filing will impact you and your specific asset situation. Call the Law Offices of James Wingfield at 508-797-0200, visit the contact page on our website or fill out the form below to schedule a consultation today.